for $519,900 with 1 bedroom and 1 full bath. This 869 square foot condo was built in 1985. 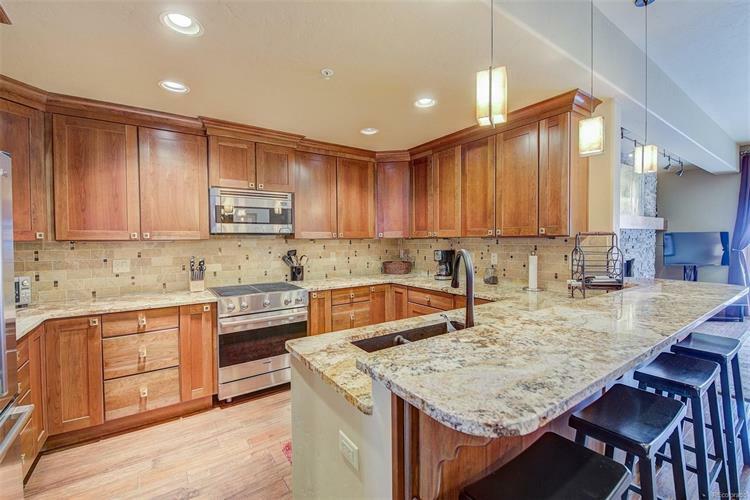 Appreciate superior luxury in this walkable Frisco in-town furnished private residence. New development in 2012, this Broadstroke Design home features high-grade granite, tumbled travertine, glass and stone tile, hand-scraped maple floors, Viking appliances, glass and onyx lighting, cherry cabinetry, radiant in-floor heat under hand scraped maple floors, generous 176 SF deck overlooking the river. 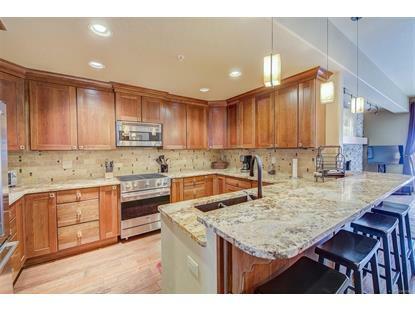 Large private storage closet, assigned underground parking and clubhouse with hot tub and sauna. Thoughtful design includes a pantry and a laundry area with full size Whirlpool HE W/D. 2012 development built from the studs out on the elevated first floor of Woodbridge Inn overlooking Ten Mile Creek. Outstanding features; in-floor radiant heat, separately metered Triangle Tube boiler and HW heater. Amazing recreational location right on the creek and on the Mount Royal Trailhead.